Fun In Taiwan : Taipei - That's Taipei 101! 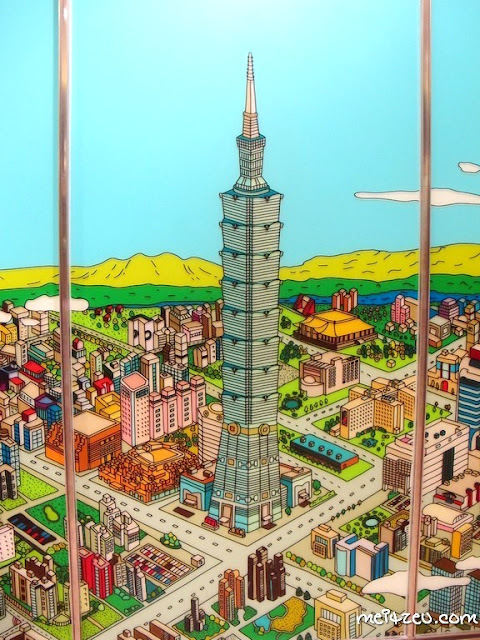 【台湾游玩记】 台北 - 台北101! The day before we left Taiwan. 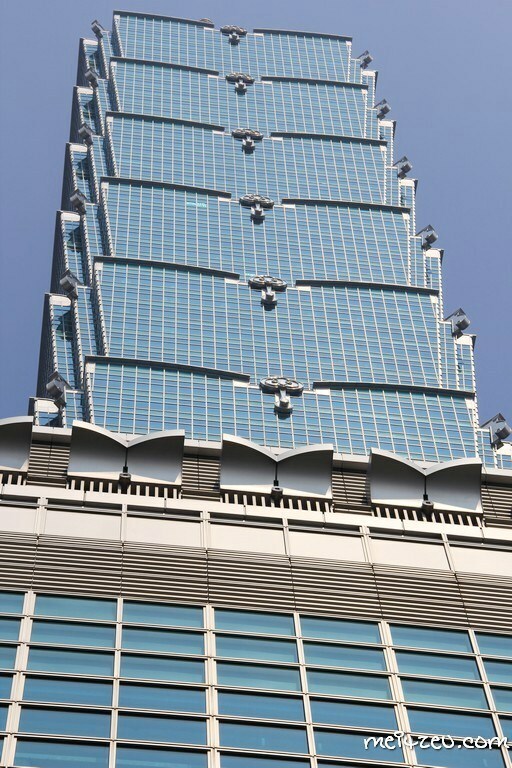 No matter how packed our time was, everyone of us should visit Taipei 101, the landmark representing Taiwan. We left the rest house around 9.00am, had a walk at Taipei Underground Market which is nearer to the subway while having our brunch and waited others to buy their goodies. 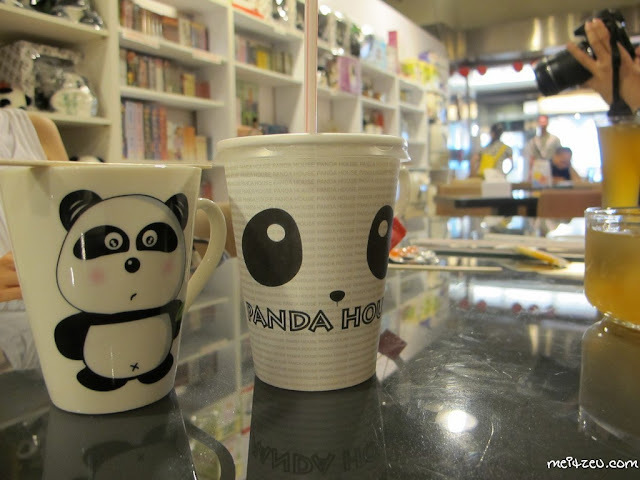 Very cute and interesting panda concept cafe for friends to chill with. The whole cafe details and things (for sale/ decorations) are PANDAS! 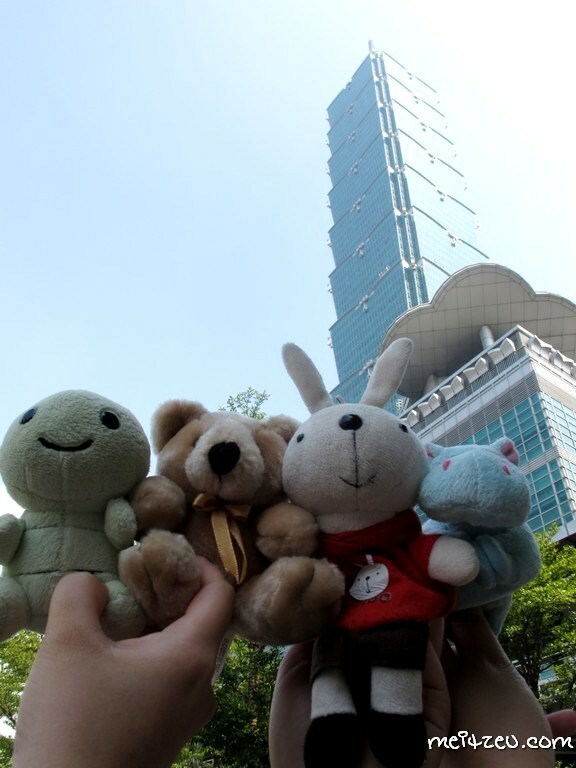 Time consuming and we were chasing the time to Taipei 101 after all of us gathering together! 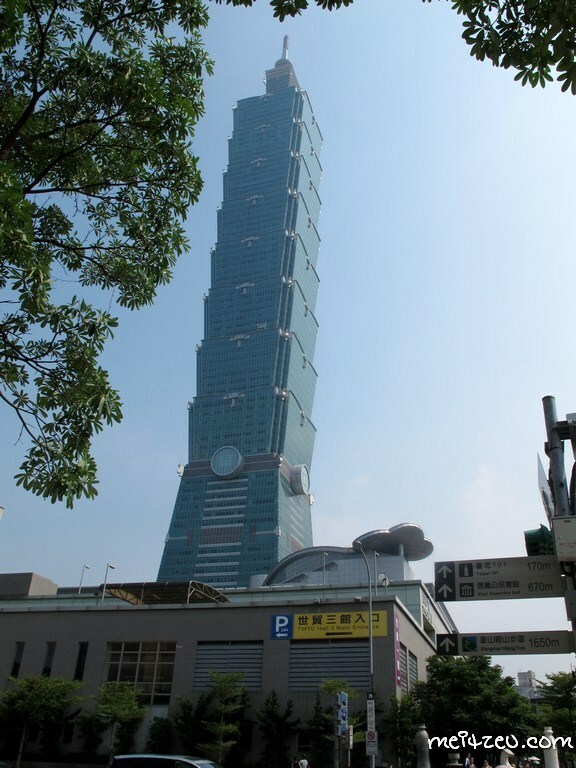 Reached the nearest MRT station to Taipei 101 and we had a short walk before we arrived at the landmark skyscraper. The street looks quiet but with all the decoration of the surrounding area, the place is quite trendy and beautifully groomed environment. It was an eye opener there, the architecture interior design is amazing, a little mix of Roman design as well. Me and meatball bought Tiffany & Co. bracelet as remembrance for our Taiwan trip, thought it was cheaper there but not really. But, it's okay. :) I'm happy with my purchase. 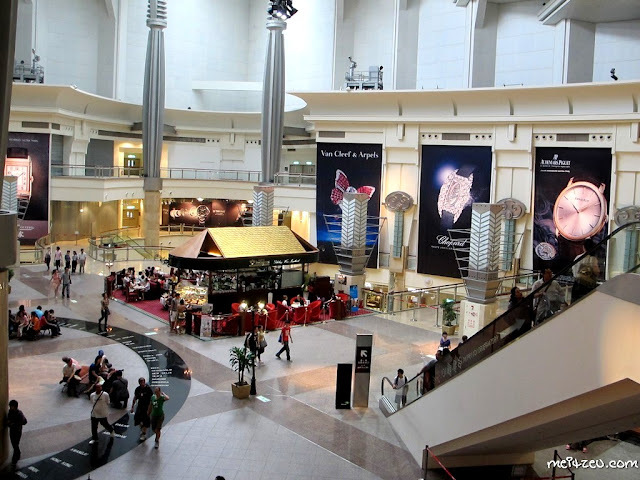 Shopping and walk about while we were there. 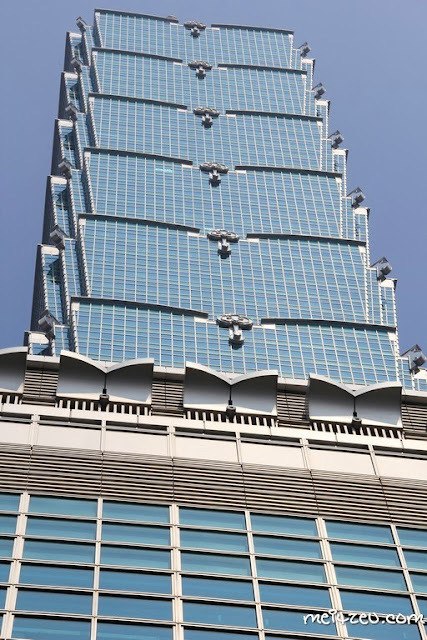 We went up and looking forward to see Taiwan from the highest level but it was too crowded with people and they were mad long queue for all of us to wait. In the end we just leave that place and went for a walk and some shopping for souvenirs. Very beautiful and some how this photo reminded me Times Square of Hong Kong. :) And the good news is I almost done with Taiwan trip entries and gonna start with Hong Kong and China post! 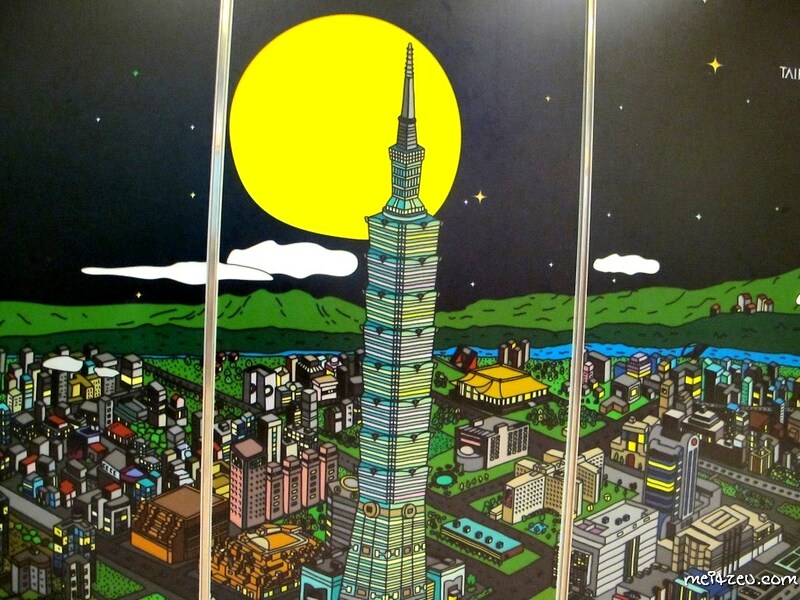 It was getting late and we left Taipei 101 in the evening for a rest back to the rest house and went out to experience the booming place of Zhong Shan! 星光三越 (Xin Guang San Yue) is a good place for all kinds of reasonable priced goodies! It was a waste if we didn't manage to walk there. 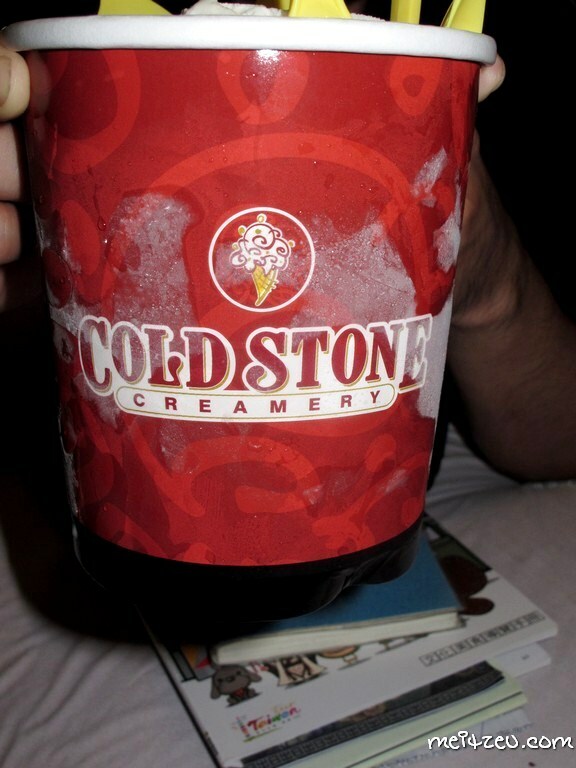 If you ever come across with Cold Stone Ice Cream, remember to try them, definitely creamy as we seen from the packaging. :) Our Singaporean friends treated us for this huge bucket of ice cream as a "symbol" of thank you and friendship during the trip. 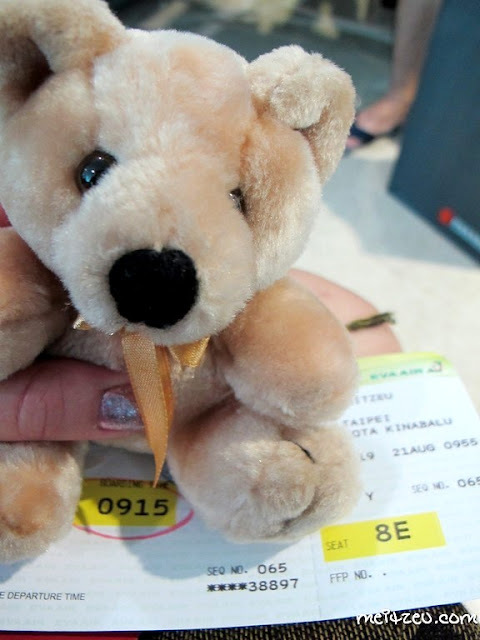 So, the next day comes and we are going back to our country. The happy moments always has it ends. Till we meet again. Hopefully next year! 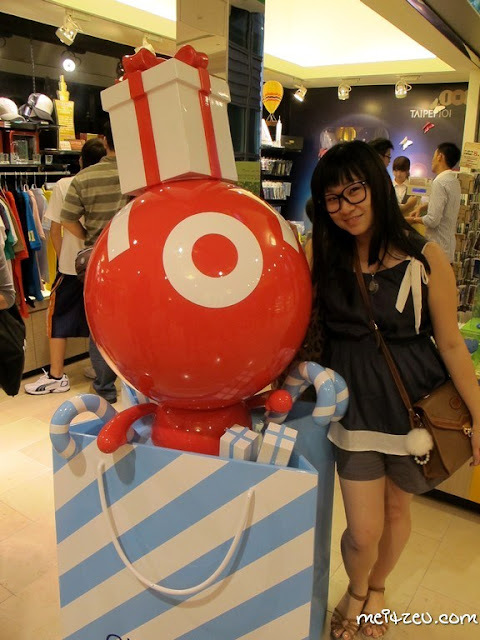 I wanna explore Taipei again and looking forward with it. 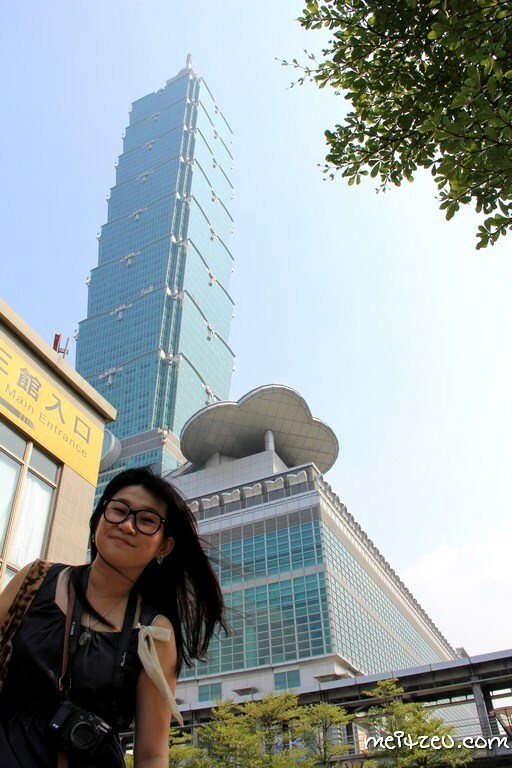 I love Taipei 101, and everytime I go in there my heart beats a lil faster! Awesome place and everything looks so tempting. Love the souvenirs eg the bunnies and the mugs are lovely. Haha :D Very interesting cafe to bump in. Awesome place and all looks so good, esp the mug in the cafe and the lovely soft toys. I used to collect so many soft toys when I was younger but as I grew older, I gave away all of it. And you have so many soft toys! haha :D I guess you didn't keep track of my taiwan story. Hmm. I guess not la.